New York Fries is offering Free Fries on National Fry Day to their New York Fries Fry Society Members! If you are a member, on July 13 you will see a reward for a Free Small Fries loaded onto your Fry Society Card! To qualify you must be an active/valid Fry Society member by July 12. 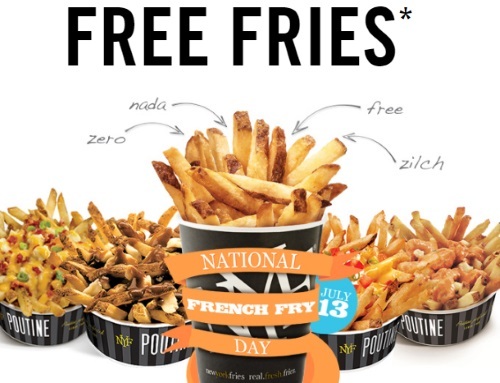 The Free Fries offer can be redeemed until July 22, 2016.